* New topic: Ginkgo and Alzheimer's disease. * Added to my Art-page (stamps): Ginkgo stamp Japan: Tokyo, Meiji Jingu Gaien Park. 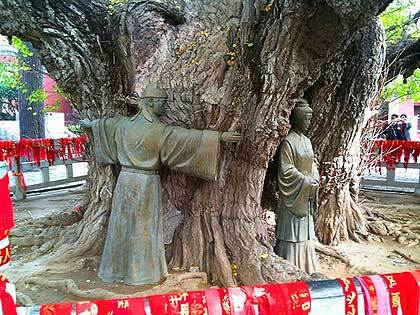 This ancient Ginkgo tree of the Dinglin Temple in Fulaishan, Juxian, Shandong, China, is said to be older than 3,000 years (3,500 years?). It probably is the oldest female Ginkgo tree in the world, height c. 26 m, girth c.15,7 m .
Photo by William Kenworthy on Flickr.com. More photos on this website. Everything about Ginkgo on my website The Ginkgo Pages. Japanese kimono: Hanhaba obi.... Ginkgo! Wikipedia: Hanhaba obi (半幅帯 or 半巾帯 , "half width obi"?) 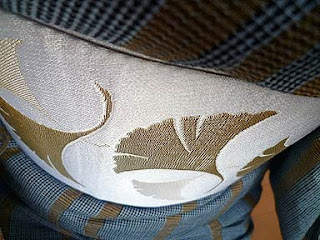 is an unlined and informal obi that is used with a yukata or an everyday kimono. Hanhaba obis are very popular these days. * New photos photospecial page: Ginkgo trees and gardens, Floriade 2012 - World Horticultural Expo. * New topic: Evidence of wild Ginkgo biloba in Dalou Mountains, China. 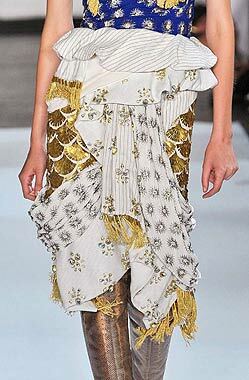 New York fashion week: Spring collection 2013 by Altuzarra. 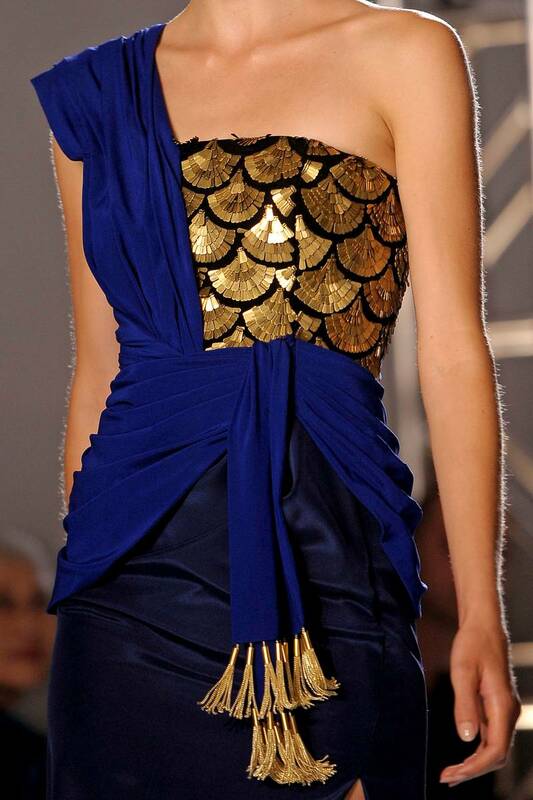 In several of Altuzarra's creations he shows Ginkgo leaf patterns. More photos and enlargements here. Boucheron created this diamond Ginkgo coronet in 1901 for Mrs. Greville who was a close friend of both Queen Mary and Queen Elizabeth the Queen Mother. 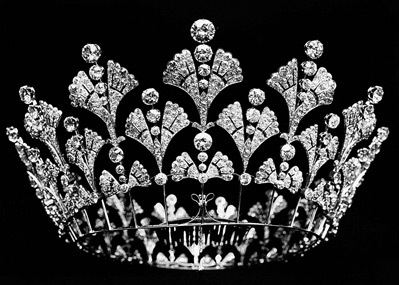 In 1921 stones from this coronet were used in a tiara now known as the Boucheron Honeycomb Tiara, also known as the Greville Tiara. The Queen Mother left the tiara to the Queen who now loans it to the Duchess of Cornwall who wears it on state occasions.